The Saudi construction industry is poised for tremendous growth over the next five years with 700 new projects set to be launched in the coming next months and targeted for completion by 2022, said an industry expert ahead of a major building expo in Riyadh. 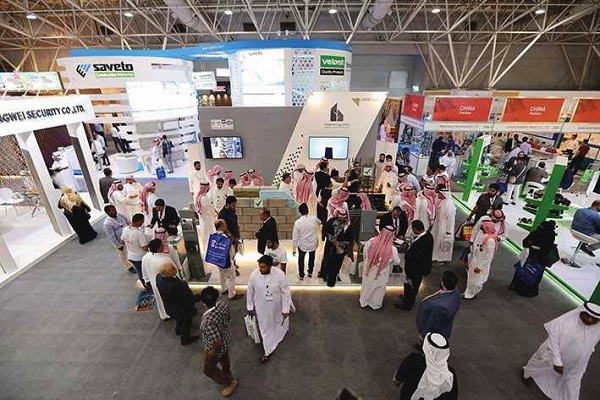 Saudi Build 2018, a leading international construction technology and building materials exhibition in the kingdom, will be held from October 22 to 25 at the Riyadh International Conference and Exhibition Center. The 30th edition of the event brings together local and international experts, decision makers, and leaders to discuss emerging investment opportunities arising from the government’s $3.5-billion allocation for the construction of roads and bridges this year, said the organisers The Riyadh Exhibitions Company. Allocating higher funds aims to further diversity the kingdom’s economy in line Saudi Vision 2030, it added. The Saudi Export Development Authority, which seeks to strengthen the kingdom's non-oil exports in line with Saudi Vision 2030, is the event’s Platinum Sponsor. The event comes at a time when the Saudi building equipment market is steadily growing. The industry is expected to achieve a compound annual growth rate of 3.1 per cent between 2017 and 2022. Mohammad Al Sheikh, the head of marketing, Riyadh Exhibition Company. "Saudi Build 2018 is taking place amid increased construction activities, especially in the industrial and commercial sectors in the local market, in keeping with the goals of the National Transformation Program 2020 and Saudi Vision 2030," noted Al Sheikh. "The event will give all participants direct access to the promising opportunities the Saudi market has to offer. Investors interested in entering the domestic market and beating the competition will benefit from the event. This year, it will focus on sustainable construction, which plays a key role in the government’ economic diversification plan and sustainability goals," he stated. According to him, leading investors and decision makers from the government and private sectors will be attending the event to explore the current and future construction projects in Saudi Arabia. Saudi Arabia now accounts for 45 per cent of the total construction industry in the Middle East, he added. Al Sheikh said: "Saudi Build 2018 is a result of our long efforts to create a world-class platform for local, regional and international building and construction industry leaders, backed with 38 years of experience in organising a series of leading exhibitions and conferences that contribute to the growth of the Saudi economy." "We are optimistic that the event will further enhance the confidence of the international community in the domestic construction industry. Saudi Build 2018 will be held in conjunction with the 2018 Saudi Stone Tech 2018 and Saudi PMV Series 2018. All three events will give visitors deep insights into the latest innovations and developments in the construction sector.